Little League® Baseball and Softball will see significantly expanded coverage of the Little League International Tournament starting in 2018 with games streamed live on ESPN+, the new direct-to-consumer subscription streaming service from Disney Direct-to-Consumer and International and ESPN. More than 150 Little League Baseball and Softball games will be available exclusively on the new ESPN+ platform, expanding Little League’s tournament coverage to more than 230 games in total. The semifinals of the Little League Intermediate (50/70) Baseball Division World Series in Livermore, Calif. This will mark the first time that Little League Softball World Series, as well as all U.S. Regional Tournaments at the Little League Softball division, will be covered in their entirety. 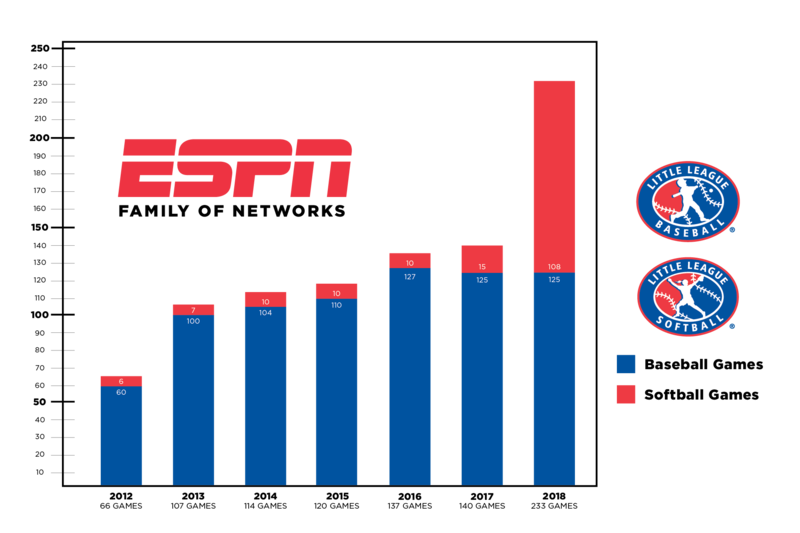 The 2018 broadcast schedule will feature a record 233 Little League International Tournament games on the ESPN family of networks and ABC, an increase of 93 games over last year’s schedule. 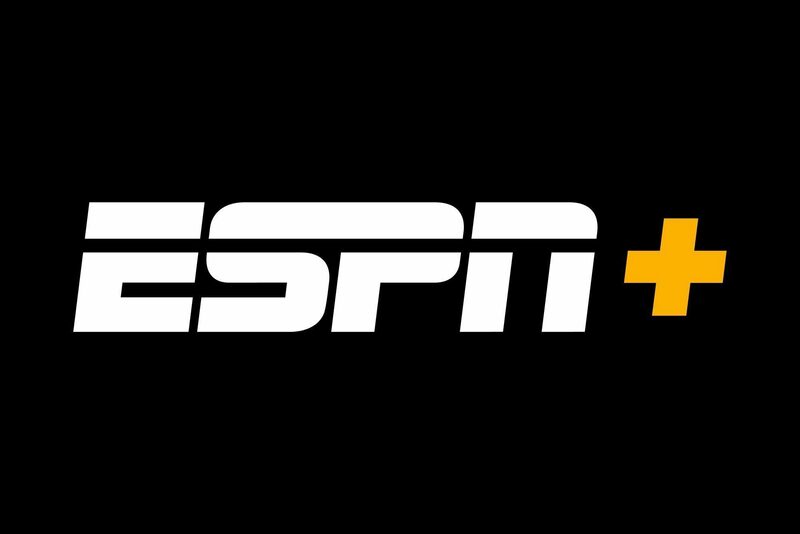 ESPN+ officially launched on April 12 and offers fans a dynamic lineup of live sports, original content, and an unmatched library of award-winning on-demand programming – all for a subscription price of $4.99 per month or $49.99 per year. All Little League® Baseball and Softball content on ESPN+ is exclusive to the platform, and available to anyone in the U.S., regardless of location or cable subscription service. The full, detailed schedule for the 2018 Little League World Series, including full network listings for all seven World Series and Regional events, can be found by visiting LittleLeague.org/WSSchedule.